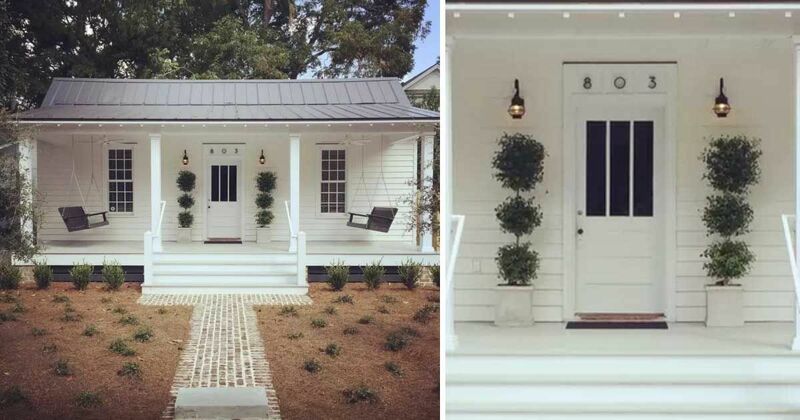 If ever a cottage had a picture-perfect porch, it's this sweet stunner in Beaufort, S.C. Clean lines, simple design and two outstanding hanging swings invite visitors to step right up and then plunk themselves right down. 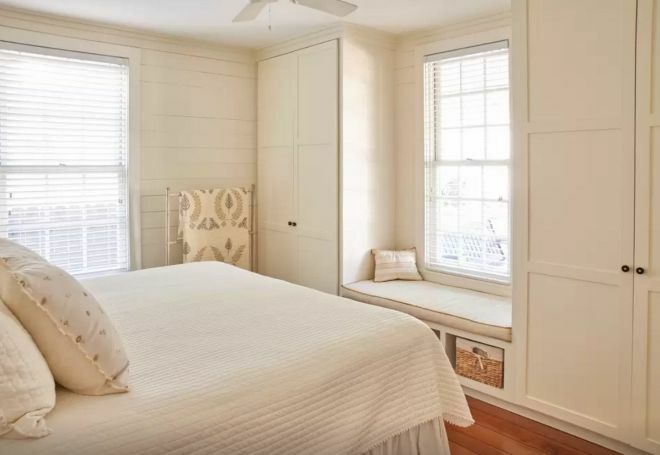 After indulging in a pleasing libation or simply breathing in the neighborhood ambience, perhaps it is time to explore this historic two-bedroom cottage's nooks and crannies. The original structure was built in 1889, writes Josh on Airbnb, starting out as kitchen to the bigger main house next door. In 1914, it was bumped up to a full cottage with the footprint it sports today. Now seems like a good time to explore the home. For those who live in a city or its suburbs, say hello to porch envy, because we have it. 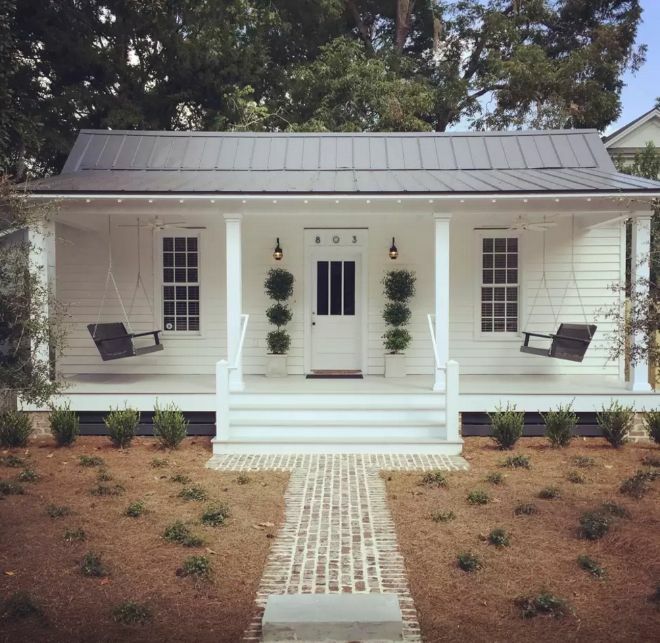 Since the porch spans the length of the home, there's plenty of room to practice lines from a play, dance with a sweetheart or snooze the day away in private — it doesn't get better than this. 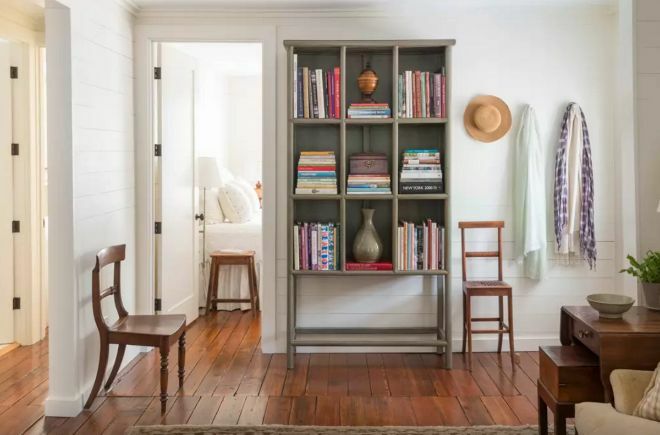 In the living room you are greeted by gleaming wood floors, books to browse, a place to hang hats, and seating both comfortable and classic. The white interior connects outdoors and indoors, and delivers a clean, crisp atmosphere. The past and the present reside hand in hand in the kitchen: A charming wood table that can expand to seat four fits right in with the modern appliances. An electric cooktop, full-size oven, refrigerator, dishwasher and coffeemaker are at your disposal, not to mention all the tools you need to concoct a meal. 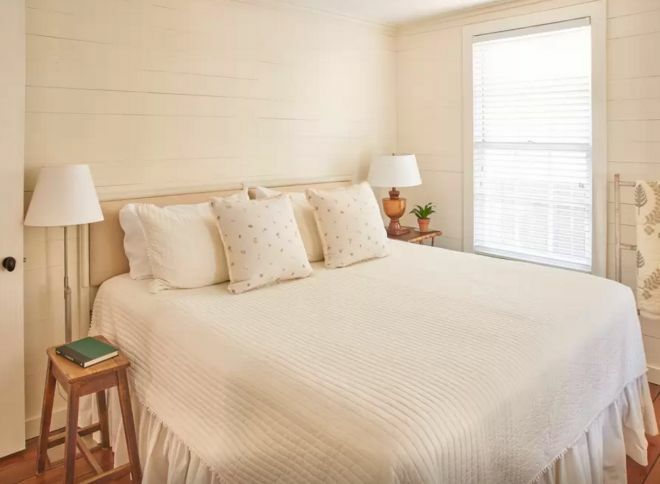 Sweet dreams just might be made of this: A king-size bed and demure bedding add up to a soothing sleep chamber. A smart use of space produces a cozy window seat that fits snugly between gorgeous floor-to-ceiling storage. Can a room restore the soul? 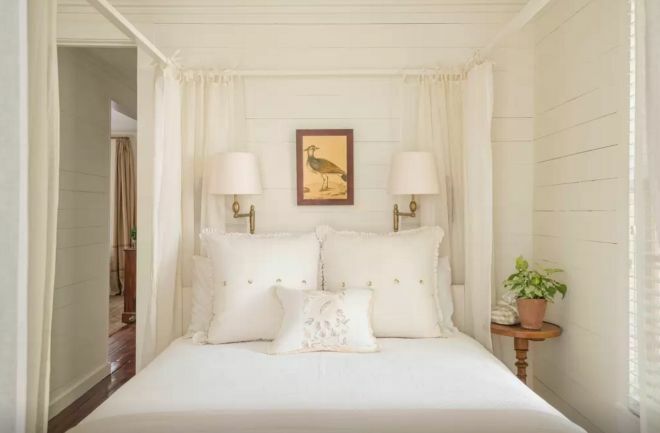 Craving a bit of that Southern romance vibe? 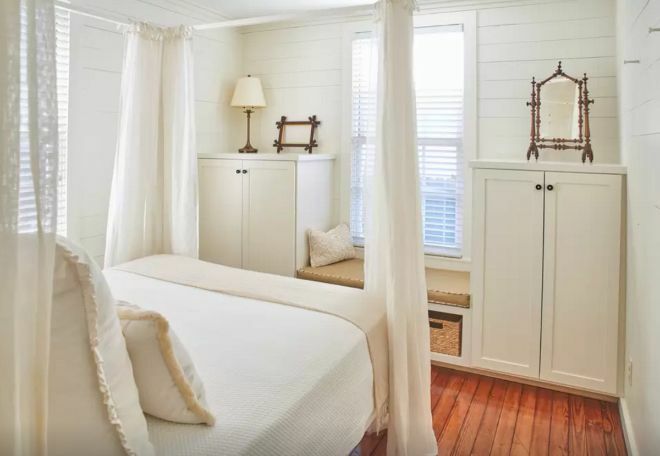 The second bedroom retains the white theme with a few accents, but it's the ethereal canopy on the queen-size bed that promises to ease anyone's woes. The lovely thing about a white room is the stillness that seems to hover in them. Make the most of it, and don't forget to peek out at the world while enjoying the window seat! 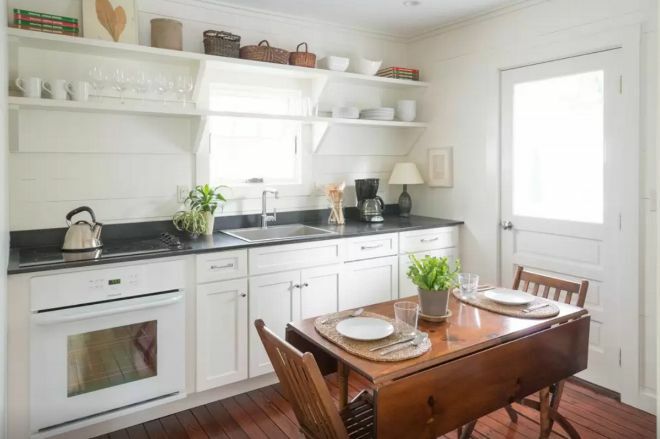 Yes, the home is a classic, but it is a fully restored and updated cottage. 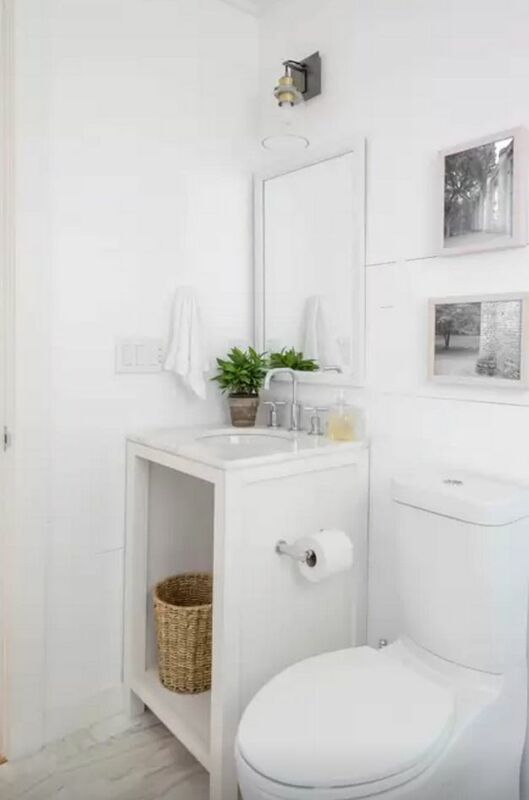 So that means no need to worry about bathroom space or quality — the floors and counters are marble — the plumbing is new, and the hot water heater is tankless, so plunge in. Now all that one needs to complete this picture? A glass of something cool to sip and someone to share it with. If you like this cottage, why not share it with your friends?